What Is Involved in Bone Contusion Treatment? 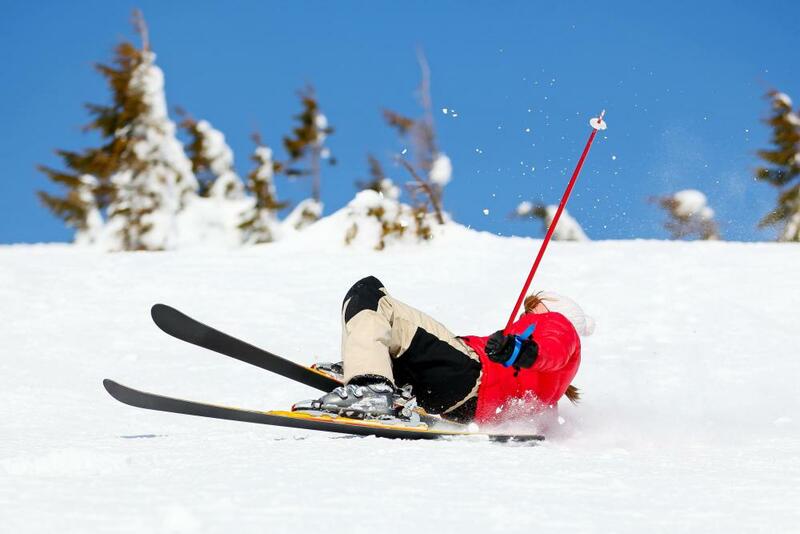 Skiing accidents may cause bone contusions. Bone contusions may occur as the result of sports-related injuries. 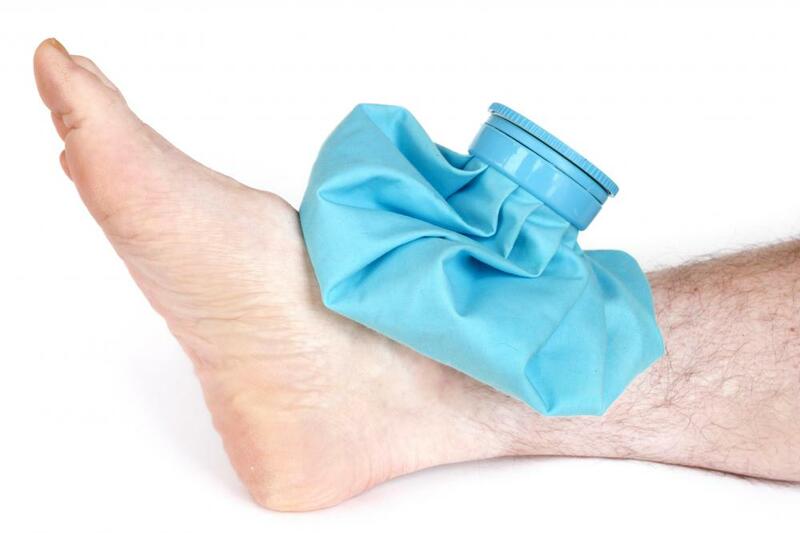 Mild bone contusions should be iced well during the first 24 hours to reduce pain and swelling. Bone contusion treatment should include elevation. Bone contusion treatment may include compression. Physical therapy may be helpful in treating bone contusions. Bone contusion symptoms may be easily confused with those of a fracture, which requires reduction and casting. 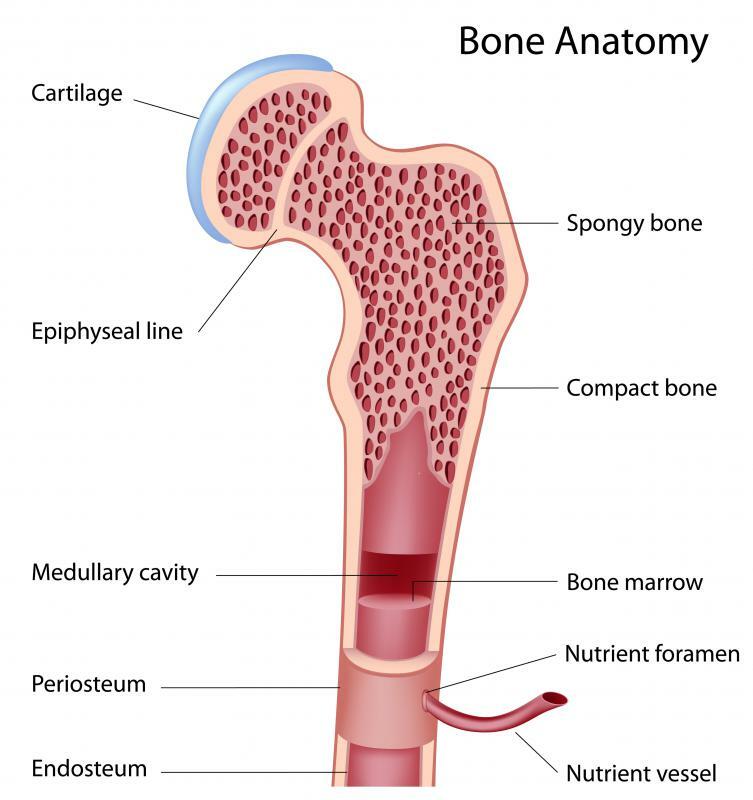 A diagram of the anatomy of a bone. Bone contusion treatment usually calls for the gold standard of basic first aid: rest, ice, compression, and elevation (RICE). Some patients may need to take medications to address pain and inflammation. Some cases call for physical therapy, usually if a bruise is large or in a key bone of the body. 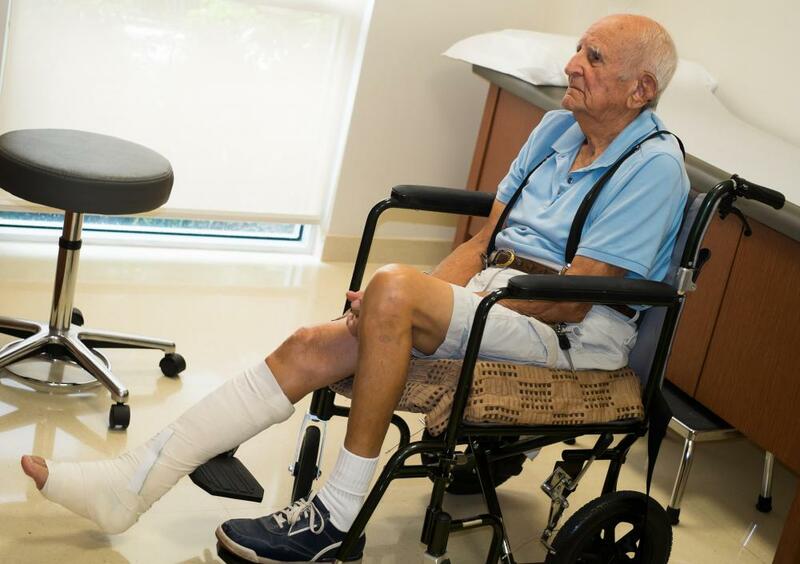 An orthopedic physician can determine what kind of treatment for a bone contusion would meet a patient's needs, and whether more aggressive options would be appropriate or necessary. Patients can develop bruises in and on the bone in a variety of circumstances. Severe accidents are a common cause, as the body can be subject to tremendous forces that may rupture or damage blood vessels. Bone contusions commonly show up after car crashes, skiing accidents, and other sports injuries. The patient may experience significant pain, which often leads to medical imaging to check for a fracture. The imaging may show signs of bruising in the bone. For mild bone contusions, RICE is often sufficient. The patient should keep weight off the limb and relax, icing well at intervals for the first 24 hours to cut down on pain and swelling. Compression may help in some cases, as well as elevating the limb to reduce blood flow. The patient's blood will still be able to circulate, but not in high volume, so it will not add to the bruising. If a bone contusion is extremely painful, the patient may need anti-inflammatory drugs and pain management medication. These may be available at a drug store, or a doctor can prescribe stronger drugs. In extreme cases, the doctor may offer an injection to rapidly address inflammation. Steroids are a common medication for injection in bone contusion treatment. Physical rehabilitation may be helpful in bone contusion treatment. It can help patients develop strength and flexibility and may speed recovery. This is often recommended if the patient also has fractures, or appears to experience a limited range of motion after the injury. A therapist can evaluate the patient to determine what kind of treatment would be most helpful and beneficial. 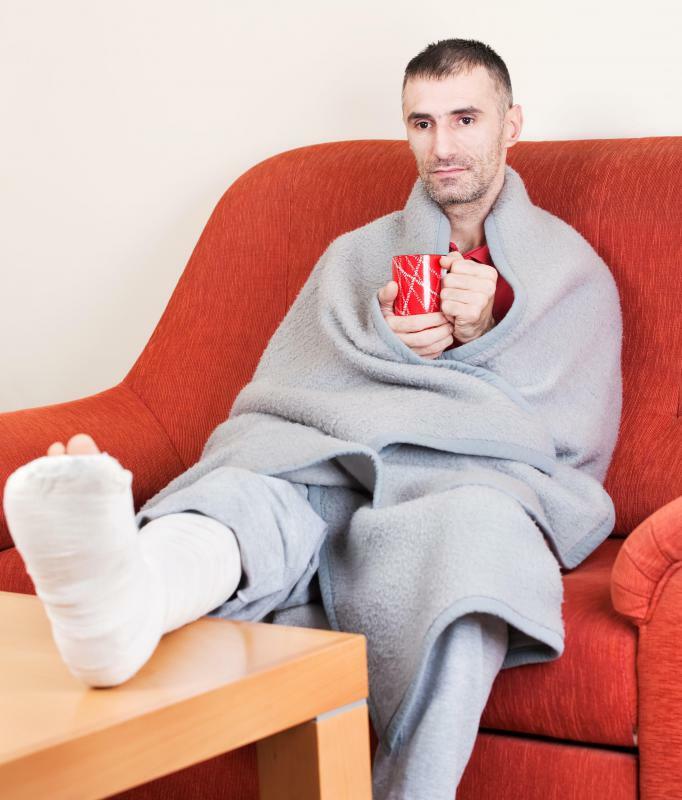 Successful bone contusion treatment may take several weeks and sometimes months. Deep bone bruises may limit activity for an extended period of time. It is important to avoid stressing the area before it is fully healed, as it is possible to re-injure the bone and cause complications. Patients should also consider the future risk of arthritis and other health issues that can occur when injuries to the bone heal poorly. What Can Cause a Bone Bruise? What is a Knee Contusion? @runner101 - I have heard conflicting arguments about massage painful muscle or bone contusions. With bone contusion, the argument I had heard was that massaging the area speeds up the healing process and prevents myositis ossificans, which is when muscle and bone grow into each other. Unfortunately the argument I have heard for not massaging involves the exact same argument, just in this case the argument is that massaging your contusion could lead to myositis ossificans. My guess is to get with someone who recently graduated from Physical Therapy school or Orthapedic Residency and has read some of the latest literature on it. It could be one of those things that was taught one way and then evidence later disproved it! Part of the bone contusion treatment I received while playing soccer (you would not believe the deep bruises we received on our shin bone even while wearing shin guards) was receiving a partially painful massage. I understood ice to reduce the swelling, but I never understood the massage, but I still do it whenever I have a bone contusion. Any ideas on why I was told that part of a bruise treatment regime includes massaging it by the physical therapists?